Call Jordan Wells paving for a free, no obligation consultation and estimate for your paving needs. 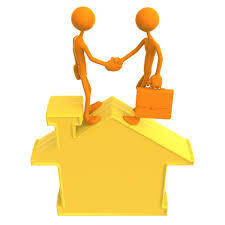 Our inspector, at your convenience, will meet at the project’s site ready to listen to your desires and concerns. We will inform you of all economical solutions to your paving needs. We are very thorough in the inspection of your property: taking precise measurements and checking grading and base preparedness. All this information will provide the knowledge to help you decide whether to repair, resurface or start over. Plus, you will have the benefit of a 3rd generation VA blacktop paver’s decades of experience- the kind of experience that only comes the hard way through labor. ​Consultations with experienced asphalt pavers are a key part to a successful repair, resurface or implementation of Parking Lot, Road, or Driveway. We carry high hopes that Jordan Wells Paving will stand out as the most detailed economical proposal you will receive for your pavement project. We keep updated with the asphalt paving industries advances that may be of benefit to our clients. We aren’t the first to jump on something new but we aren’t the last either. When you call Jordan Wells Paving (804) 823-7644 for a complementary on-site estimate, we will quickly respond and schedule at your convenience a time to look at the property. Once there we will listen to your needs and discuss the ramifications of the lot. After evaluating all information gathered, we will quickly draw up a written proposal, and at your preference email it or deliver it in person.